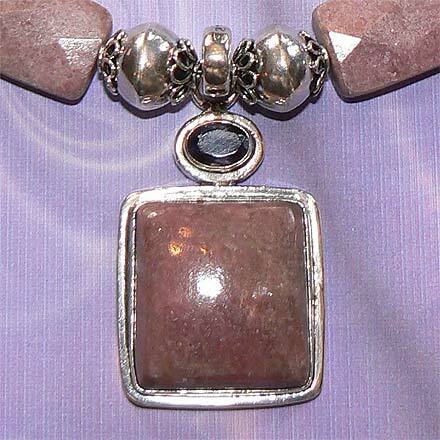 "The Other Sides of Purple"
Sterling Silver Rhodonite and Iolite Necklace. See Closeup. 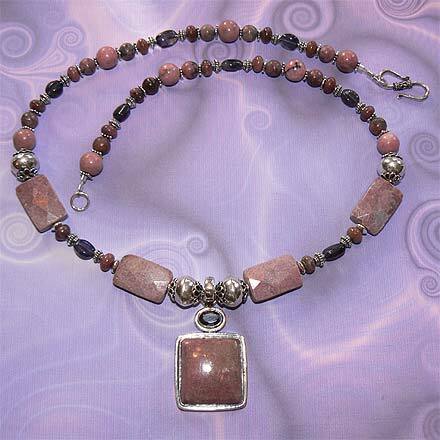 Not quite purple, deep pink Rhodonite and bluish violet Iolite make up this jewelry set. The necklace is 20½" long with a 1.8" pendant.